SALE! Now $595, originally $695. 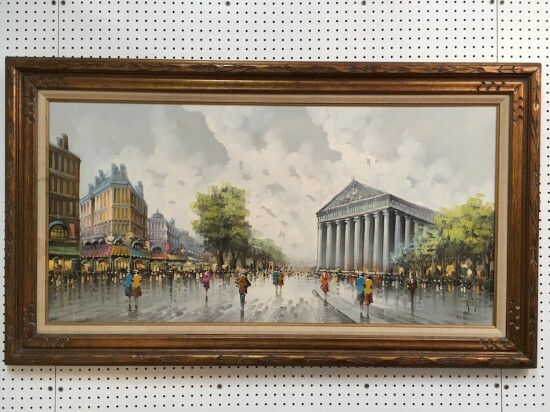 Vintage antique large Paris street scene oil on canvas c. 1950. 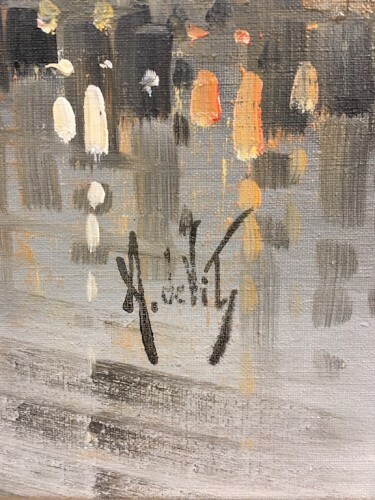 Large oil painting on canvas by Antonio Devity (20th century Italian). 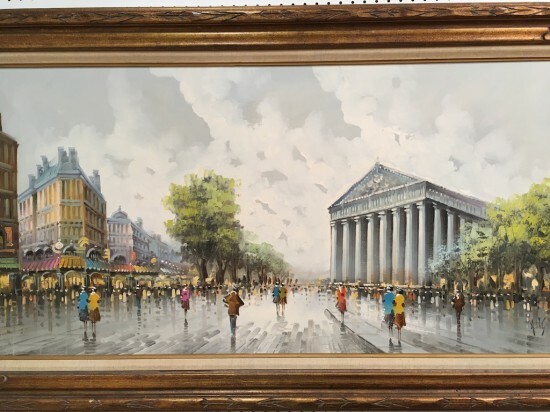 Abstract impressionist street scene of Paris. Grey background with greens, browns, and pops of mustard, turquoise, orange, and pink. Carved dark gilt frame. Perfect for your living room or dining room. Excellent condition. Measures 32” tall, 55.5” across, and 2.25” deep.